Do you drink wine from a human skull? Jakob-Creutzfelt Disease in Europe was traced back to a self-styled secret society in Italy, where members filed solemnly down into ancient burial crypts and drank local wine from the skull of a deceased past master. No lie. Look it up if you like. Yes, people do strange things. Even hundreds of years later, after the past master had died, the JCD ‘bug’ was still infesting that old skull of his, and the wine swilled from it carried the bug down the gullets of the secret society members and into their bodies. A lot of these secret society members died bizarre, horrible deaths, prompting health officials to investigate what was going on. To date this is likely the only investigation in Italy’s history that was both scientific and professional. And that is because it involved drinking wine. JCD basically eats your brain and leaves you a drooling, deficient, dying husk of a human being. You die pretty quickly, and it is an ugly death. “Spongiform disease” is also how this kind of prion-based attack is known, because the person’s brain looks like a sponge, riddled through with holes where brain matter ought to be. Survival is not an option. There is no cure, and the cancer-like prions use their protein shells to fully resist fire, cold, desiccation, Hollywood, and high cholesterol. Once a prion is present, it cannot be destroyed by anything human. Prions seem to live forever in the dirt under your feet, and possibly in food grown in that dirt, like corn and soybeans. JCD is known as Mad Cow Disease among bovines, Scrapie among sheep, and Chronic Wasting Disease among cervids, like deer, here in America. In other words, there is a prion out there for every mammal, though this is a new science we are just beginning to understand. For a long time the guy who discovered prions was said to be a fake. And then his work was replicated, and he became a celebrated scientist. The politics of “climate change science” do not apply to prions and human health, thankfully. One thing is clear: Prions develop most among wild animals that are new to being domesticated, like deer. It is their bodies’ reaction to being unnaturally cooped up. Something in the wild animals’ artificially confined body is misfiring, going haywire, and imploding. 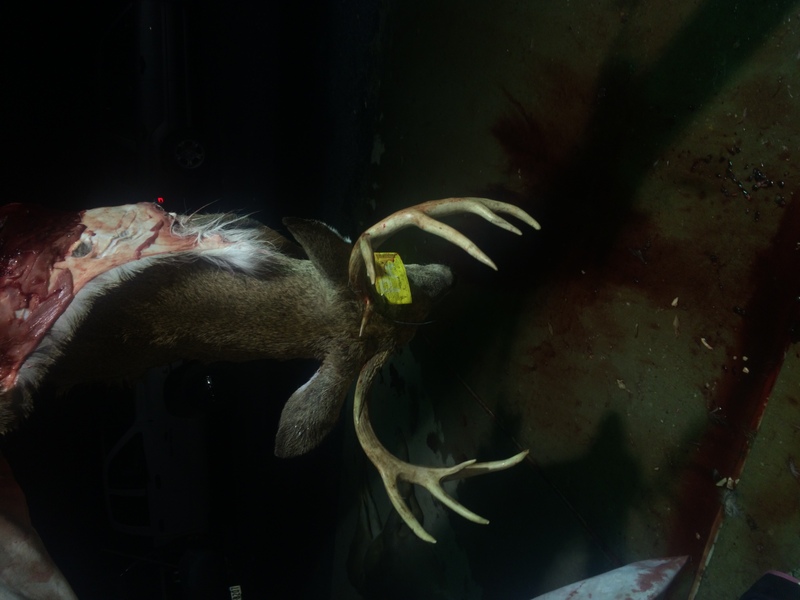 CWD has its genesis in the wildlife management equivalent of drinking wine from a human skull: In most states, including Pennsylvania, deer farms are not required to have two strands of metal fencing separating the confined deer from wild deer. Deer are not yet a domesticated species (if cows, sheep and goats are any indication, it will take another 3,000 years to domesticate deer), they are still wild, and they herd up for protection, as do all social animals. As a result, wild deer approach the deer inside the deer farm enclosure, touch noses through the fence, exchange body fluids, and get CWD. The wild deer then leave and go off into the wild deer populations and spread CWD among otherwise healthy deer across the landscape. As a result of this madness, CWD is spreading through Pennsylvania like wildfire, except no one is paying attention. Not really. Only the Pennsylvania Game Commission is trying to solve this crisis, and the agency is being stonewalled at every turn. Because the Pennsylvania Department of Agriculture is protecting a nascent $16 million annual deer farm business sector from having to install double fencing. 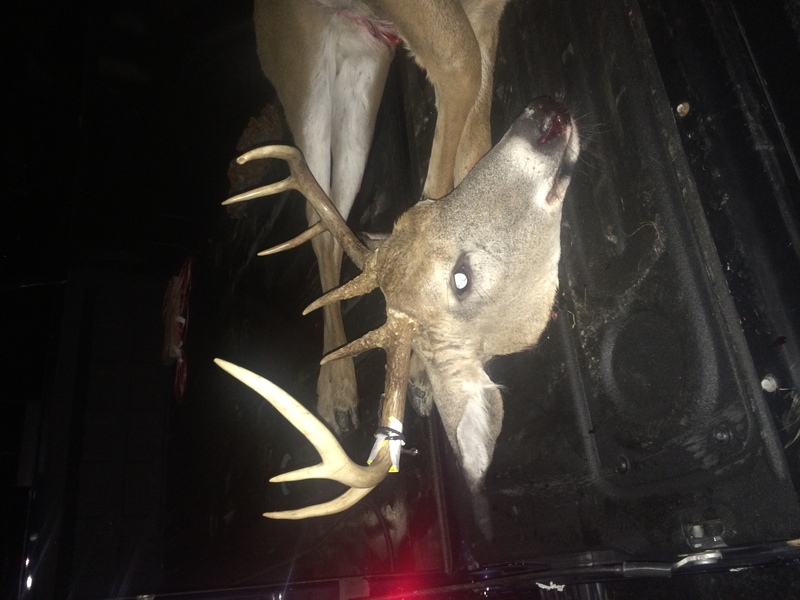 Do you know what hunting is worth annually in Pennsylvania? It is worth $1.6 BILLION, and a great deal of that is from deer hunting. So here in Pennsylvania, we have a state agency, the PA Dept. of Agriculture, essentially preferring the complete shielding of deer farms from a necessary and responsible practice, and thereby sacrificing Pennsylvania’s wild deer herd and the huge sustainable, renewable economy built on managing those wild deer. This poor policy from the PA Dept. of Ag is really bad government on display. This is Bad Government 101. Actually, this is failed government. You cannot make this stuff up, and the CWD situation here highlights why political involvement in a democracy is so important. If you sit back and wait for someone else to solve problems, most often no one else will get involved. You have to lead the charge yourself, and thereby attract fellow supporters. If you want to get involved, call the PA Dept. of Ag at this number, 717 -772-2853, and tell the nice person who answers the phone that you want DOUBLE FENCING at all deer farms. It is as simple as this. And if you don’t give a whit about hunting or deer management, consider the impacts CWD will have on other wildlife beyond wild deer. It is an earthquake building under our feet, and we can stop it, if we want to. The old joke about Pennsylvania having just two seasons rings as true today as it did fifty years ago: Road construction season in the Keystone State seems to be a nine-month-long affair everywhere we go, a testament to how not to overbuild public infrastructure, if you cannot maintain it right. 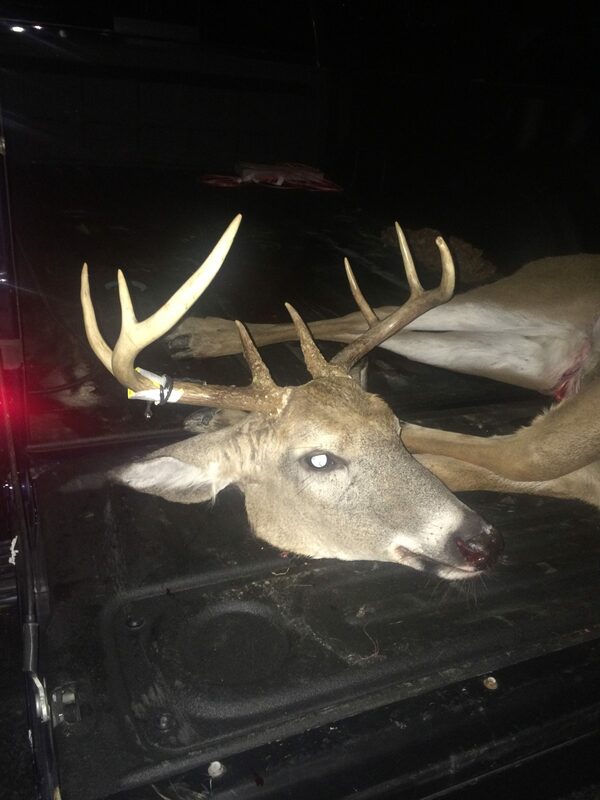 And the two-week rifle deer season brings out the passion among nearly one million hunters like an early Christmas morning for little kids (I doubt the Hanukkah bush thing ever took off). All year long people plan their hunts with friends and relatives, take off from work, spend lots of money on gear, equipment, ammunition, food, and gas, and then go off to some place so they can report back their tales of cold and wet and woe to their warmer family members at home. These deer hunts are exciting adventures on the cheap. No bungee jumping, mountain cliff climbing, jumping through flaming hoops or parachuting out of airplanes are needed to generate the thrill of a lifetime as a deer or bear in range gives you a chance to be the best human you can be. Both bear and deer seasons flew by too fast, and I wish I could do them over, not because I have regrets, but because these moments are so rare, and so meaningful. I love being in the wild, and the cold temperatures give me impetus to keep moving. One reflection on these seasons is how the incredible acorn crop state-wide kept bear and deer from having to leave their mountain fortresses to find food. Normally animals must move quite a bit to find the browse and nuts they need to nourish their bodies. Well, not this year. Even yesterday I was tripping over super abundant acorns lying on every trail, human or animal made. When acorns are still lying in the middle of a trail in December, where animals walk, then you know there are a lot of nuts, because normally those low-hanging fruits would be gobbled right up weeks ago. After still hunting and driving off the mountain I hunt on most up north, it became clear the bear and deer were holed up in two very rugged, remote, laurel-choked difficult places to hunt. Any human approach is quickly heard, seen, or smelled, giving the critters their chance to simply walk away before the clumsy human arrives. All these animals had to do was get up a couple times a day, stretch, walk three feet and eat as many acorns as they want, and then return to their hidden beds. This made killing them very difficult, and the lower bear and deer harvests show that. God help us if Sudden Oak Death blight hits Pennsylvania, because that will spell the end of the abundant game animals we enjoy, as well as the dominant oak forests they live in. The second reflection is how we had no snow until Friday afternoon, two days ago, and by then we had already sidehilled on goat paths, and climbed steep mountains, as much as we were going to at that late point in the season. With snow, hunting is a totally different experience: The quarry stands out against the white back ground, making them easier to spot and kill, and snow tracking shows you where they were, where they were going, and when. These are big advantages to the hunter. Only on Friday afternoon did we see all the snowy tracks up top, leading over the steep edge into Truman Run. With another two hours, we could have done a small push and killed a couple deer. But not this year. Maybe in flintlock season! And finally, I reflect on the people and the beautiful wild places we visited. I already miss the time I spent with my son on stand the first week. 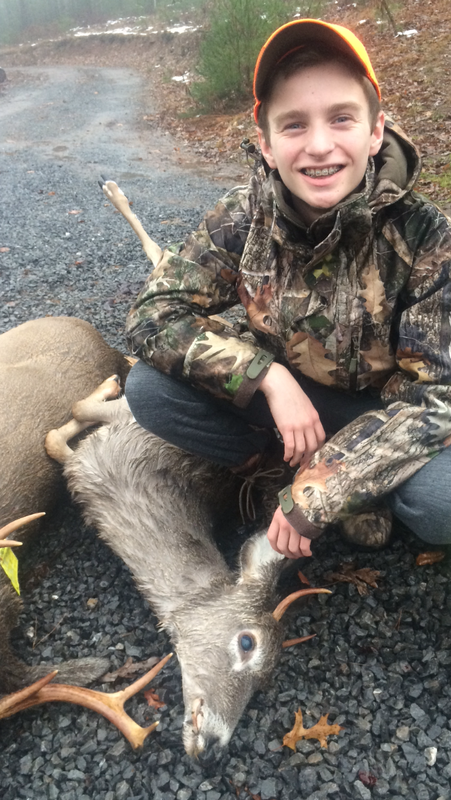 He was with me when I took a small doe with a historic rifle that had not killed since October 1902, the last time its first owner hunted and a month before the gun was essentially put into storage until now. 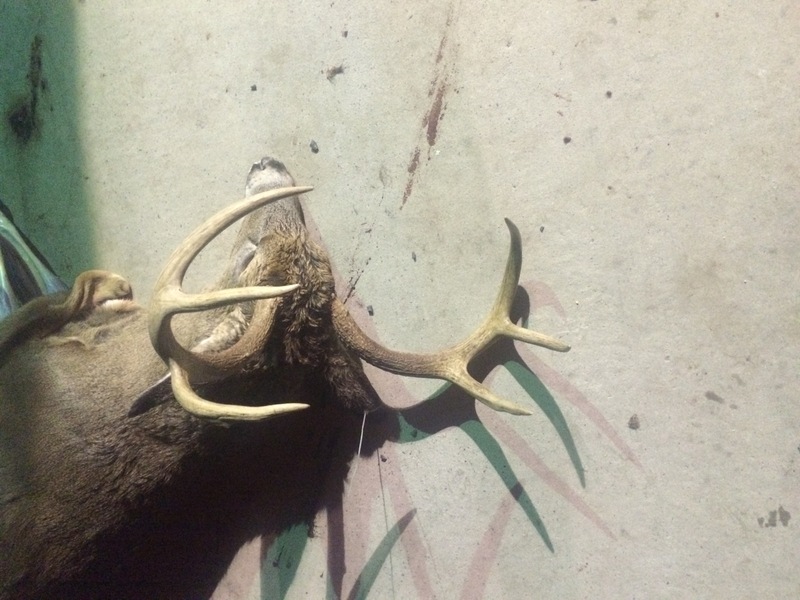 And then my son had a terrible case of buck fever when a huge buck walked past him well within range of his Ruger .357 Magnum rifle, and he missed, fell down, and managed to somehow eject the clip and throw the second live round into the leaves while the deer kept moseying on by. 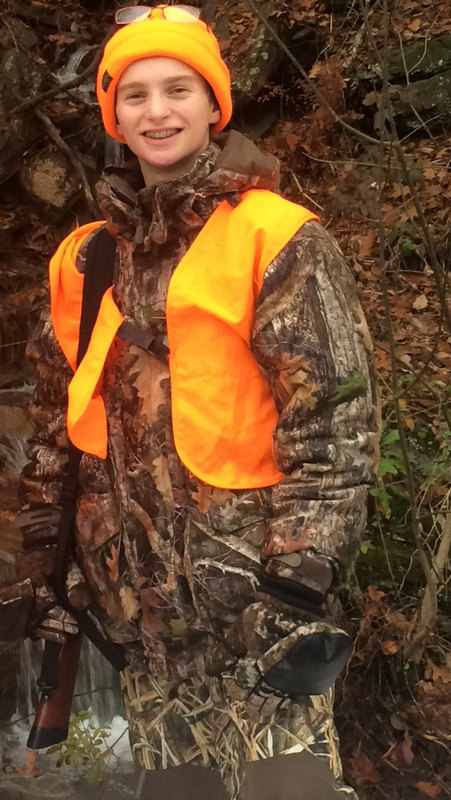 When I found my son minutes later, he was sitting in a pile of leaves where the deer had stood, throwing the leaves around and crying in a rage that we needed to get right after the deer and hunt them down. The boy was a mess. It was delightful to watch. I miss the wonderful men I hunted with, and I miss watching other parents take their own kids out, to pass on the ancient skill set as old as humankind. 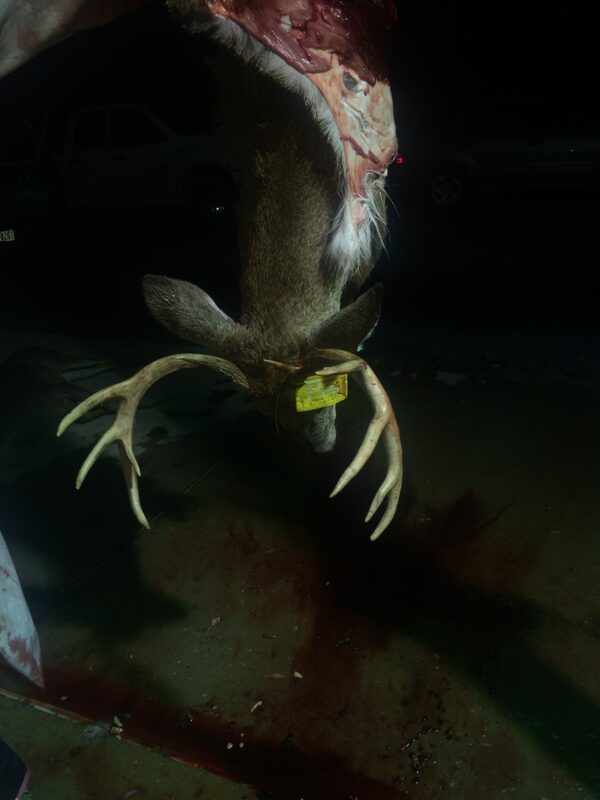 It is an unfortunate necessity to point out that powerline contractor Haverfield ruined the Opening Day of deer season for about three dozen hunters by arriving unannounced and trespassing in force to access a powerline for annual maintenance in Dauphin County. We witnessed an unparalleled arrogance, dismissiveness, and incompetence by Haverfield staff and ownership that boggles the mind. I am a small business owner, and I’d be bankrupt in three days if I behaved like that. 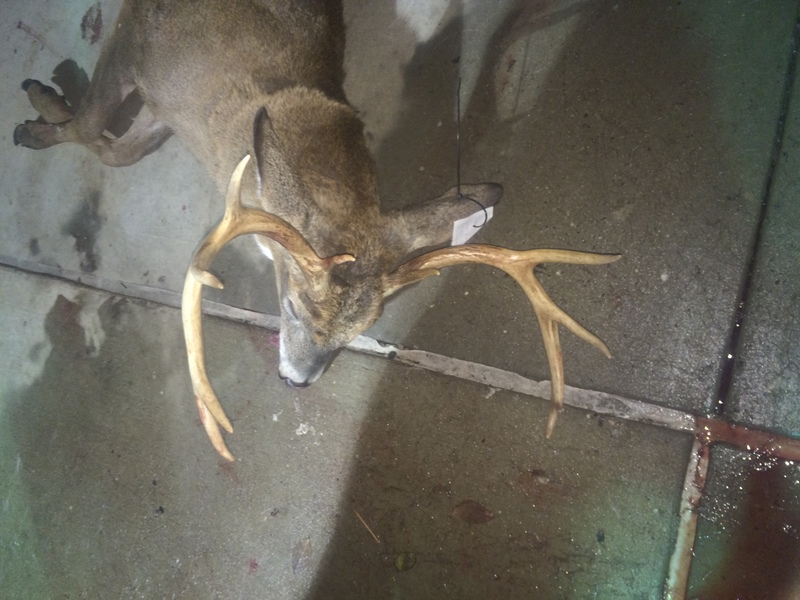 Only the intervention of a Pennsylvania Game Commission Wildlife Conservation Officer saved the day, and that was because the Haverfield fools were going onto adjoining State Game Lands, where they also had no business being during deer season. Kudos to PPL staff for helping us resolve this so it never happens again. 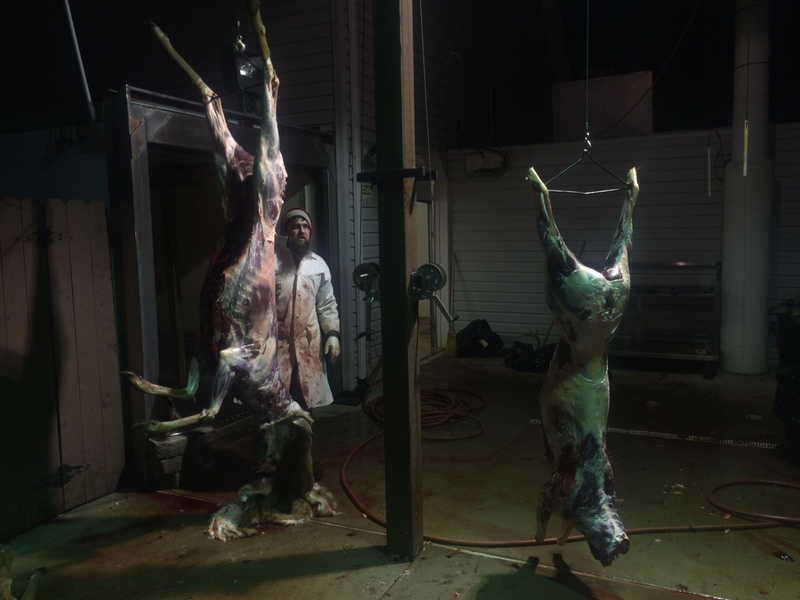 Folks, we will see you in flintlock season, just around the corner. Now it is time to trap for the little ground predators that raid the nests of ducks, geese, grouse, turkey, woodcock, and migratory songbirds. If you hate trapping, then you hate cute little ducklings, because the super overabundant raccoons, possums, skunks, fox, and coyotes I pursue eat their eggs in the nests, and they eat the baby birds when they are most vulnerable. When I tell some people how aggressively we try to manage standing timber (forests), they often recoil. It sounds so destructive, so environmentally wrong. It is not environmentally damaging, but I will be the first to admit that the weeks and months after a logging operation often look like hell on the landscape: Tops everywhere, exposed dirt, skid trails, a tangled mess where an open woods had stood for the past sixty to eighty years just weeks before. No question, it is not the serene scene we all enjoyed beforehand. This “clearcutting” gets a bad name from poor forestry practices out West and because of urban and suburban lawn aesthetics being misapplied to dynamic natural forests. However, if we do not aggressively manage the forest, and the tree canopy above it, then we end up with tree species like black birch and red maple as the dominant trees in what should be, what otherwise would be a diverse and food-producing environment. Non-native and fire-sensitive species like ailanthus are quickly becoming a problem, as well. When natural forest fires swept through our northeastern forests up until 100 years ago, these fire-sensitive species (black birch, red maple) were killed off, and nut trees like oaks, hickories, and chestnuts thrived. Animals like bears, deer, turkey, Allegheny woodrats, and every other critter under the sun survived on those nut crops every fall. Without natural fire, which is obviously potentially destructive and scary, we must either set small prescribed fires, or aggressively remove the overhead tree canopy to get sufficient sunlight onto the forest floor to pop, open, and regenerate the next generation of native trees. Deer enjoy browsing young tree sprouts, so those tasty oaks, hickories, etc that lack sufficient sunlight to grow quickly usually become stunted shrubs, at best, due to constant deer nibbling. Sunlight is the key here. And there is no way to get enough sunlight onto the forest floor and its natural seed bed without opening up the tree canopy above it. And that requires aggressive tree removal. Northeastern forests typically have deep enough soils, sufficient rainfall, and gentle enough slopes to handle aggressive timber management. Where my disbelieving eyes have seen aggressive management go awry is out west, in the steep Rockies, where 1980s “regeneration cuts” on ancient forests had produced zero trees 25 years later. In fact, deep ravines had resulted from the flash-flooding that region is known for, and soil was being eroded into pristine waterways. So, aggressive timber management is not appropriate for all regions, all topography, or all soils. But here in the northeast, we go out of our way to leave a huge mess behind after we log. Why? Because how things appear on their surface has nothing to do with how they perform natural functions. Those tangled tree tops provide cover for the next generation of trees and wildflowers, turtles and snakes, and help prevent soil erosion by blocking water and making it move slowly across the landscape. Indeed, a correctly managed northeastern forest is no place for urban or suburban landscape aesthetics, which often dictate bad “select cut” methods that work against the long term health and diversity of the forest, as well as against the tax-paying landowner. So the next time you see a forest coming down, cheer on the landowner, because they are receiving needed money to pay for the land. Cheer on the loggers and the timber buyers, the mills and manufacturing plants, and the retailers of furniture, flooring, and kitchen cabinets, because they all are part of a great chain of necessary economic activity that at its core is sustainable, renewable, natural, and quintessentially good.